A dental crown is designed to strengthen and repair a damaged or decayed tooth to provide a durable, natural-looking outcome. 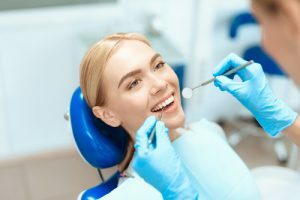 Traditionally, your dentist would take a mold of your teeth, have a third-party laboratory create your custom crown, and then schedule a second appointment to affix the crown to the affected tooth. However, with our innovative CEREC® system (Chairside Economical Restoration of Esthetic Ceramics), our patients at Austin Dental Spa can improve the form and function of their smile in just a single office visit! Similar to traditional crowns, CEREC restorations are custom-made to blend in with the rest of your teeth. With our advanced CEREC system, however, this process is much more convenient and efficient. Our dentists use 3D imaging technology to take a digital impression of your teeth, which avoids the hassle of traditional impressions and can provide more precise restorations. Once the digital impressions are ready, they are sent to the CEREC milling machine to create your crown out of a tooth-colored ceramic material. After it is made, our dentists will further customize your crown to match your surrounding teeth, finishing your procedure by bonding the crown to your prepared tooth. With the advanced potential of CEREC technology, our team can help you save time and see your results in just one office visit. To learn more about the benefits of CEREC crowns, or to schedule an appointment with one of our dentists, please contact us today. The original version of this post was published on May 19, 2016.